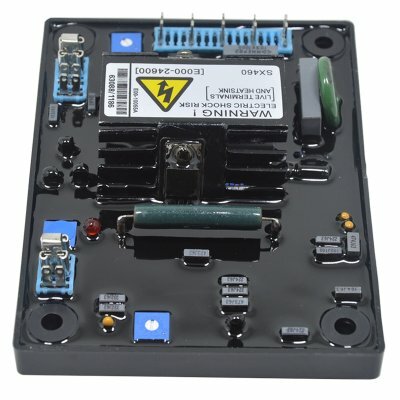 Successfully Added High Quality Black Automatic AVR SX460 Voltage Regulator for Generator Voltage Regulator to your Shopping Cart. It is a half -wave phase-controlled thyristor type, Automatic Voltage Regulator(AVR) and forms part of the excitation system for a brush-less generator. This AVR system includes under-speed and sensing loss protection features. Positive voltage build up from residual levels is ensured by the use of efficient semiconductors in the power of AVR. The AVR is linked with main stator windings, which will provide closed loop control of the output voltage. The AVR also derives a sample voltage from the output windings for voltage, the AVR controls the the power fed to the exciter field.